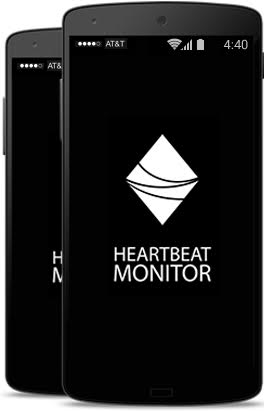 HeartBeat Monitor is a smart phone app that enables your business to monitor web applications and services availability on the Internet quickly. Cyber Security Dashboard is a web application providing users with advanced security data management, scanning, and threat management capabilities. CERTStation’s Cyber Security Dashboard is an IT security intelligence dashboard that provides a snapshot of an organization’s security status, allowing it to make instantaneous and informed decisions to safeguard the security of its systems. Managed cyber security services provide the right information, to the right people, at the right time. To use the CERTStation Cyber Security Dashboard, you must sign up and register with CERTStation. Cyber Security Dashboard is a web-based application that provides users with advanced security data management, scanning and threat management. 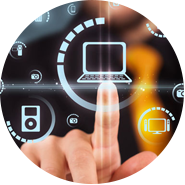 Network Security is any activity designed to protect networking infrastructure from unauthorized access, against hacking, misuse and disclosure of information. Our threat management security dashboard provides actionable security intelligence to quickly respond to advanced and hidden threats to enable you to take preventative measures. Heartbeat Monitor enables businesses to monitor web applications and services availability on the internet. Amongst other features of the app, it enables users to monitor IPs/FQDNs (Frequently Qualified Domain Names). Through Heart Beat Monitor users will also be able to monitor services including DNS, HTTP, HTTPS, SMTP, IMAP4 and POP3. The key benefit that users will get is that they will be able to view and use information in real time. This is crucial because in today’s modern era businesses need to make decisions based on real time information. Through the Heart Beat Monitor app users will be able to check whether the entered IP addresses are operational or not. They will then be able to take the required action after analyzing the situation. The app will basically serve the purpose of being a monitoring tool for users. It will enable them to view any potential risks or threats that may stall the progress of their business operations. By exploring the various features of the Heart Beat Monitor, including the ability to view service, ping statuses and graphs users will be able to make better business decisions. 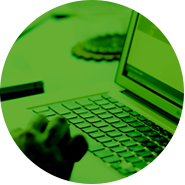 We manage Cybersecurity and integrated technologies, threat intelligence, and highly adaptable solutions to meet the needs of small and large businesses. 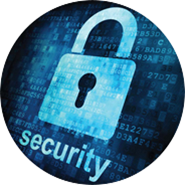 Our managed security services help secure your IT systems, prevent identity theft, and safeguard your critical business information and users from cyber threat. Cerstation Cybersecurity dashboard is providing threat level aggregation service which pulls together real-time risk assessments from eight vulnerability watch services (including Symantec ThreatCon, SANSInfoCon and AVG) on one Flash-tactic page. We are providing customized and updated information according to the customers’ needs. Weekly service of consolidated security report is also provided to the subscribers. To learn more about the security features, check out our Certstation Cyber Security Dashboard.